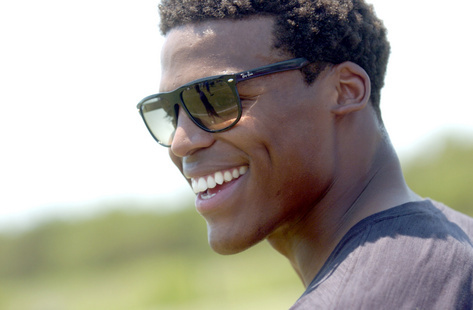 Cam Newton can’t find a girlfriend? It’s true. Cameron wants people to be genuine and all he seems to be getting are fakers. It’s a cliché for people to say you have to be on alert,” Newton said. “But sometimes, that is the case. You may see a particular female who’s attractive, but you already sense it. “I pray for discretion every single night, that I can see through people, see what their greater good is. Sometimes that individual ‘wows’ you by the eye, but when it come to heart to heart, that person’s not there for you. That’s not just females. That may be friends, people who come into your life just to use you for who you are. Its ridiculous that someone that gorgeous and talented has to protect his heart and fortune this way, but it comes with the territory. Ask any professional athlete, and he or she will tell you that its lonely at the top. Perhaps he will be best served to link up with another athlete or celeb and create an industry couple like Aaron Ross and Sanya Richards-Ross, David and Victoria Beckham, Shelden Williams and Candace Parker, Monica and Shannon Brown, or Melo and La La. What happened to he and Ciara? They were rumored to be hanging out a while back. I wonder what gives in Charlotte? None of those ladies are turning on their southern charm?